Meet Ashlyn. She’s my beautiful 5yr old daughter. 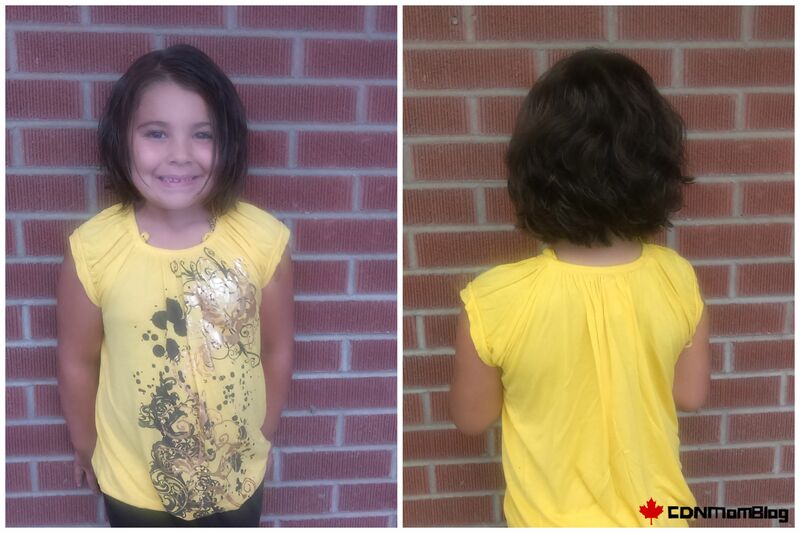 Last week, Ashlyn cut off 16 inches of hair, and donated it to the Canadian Cancer Society. 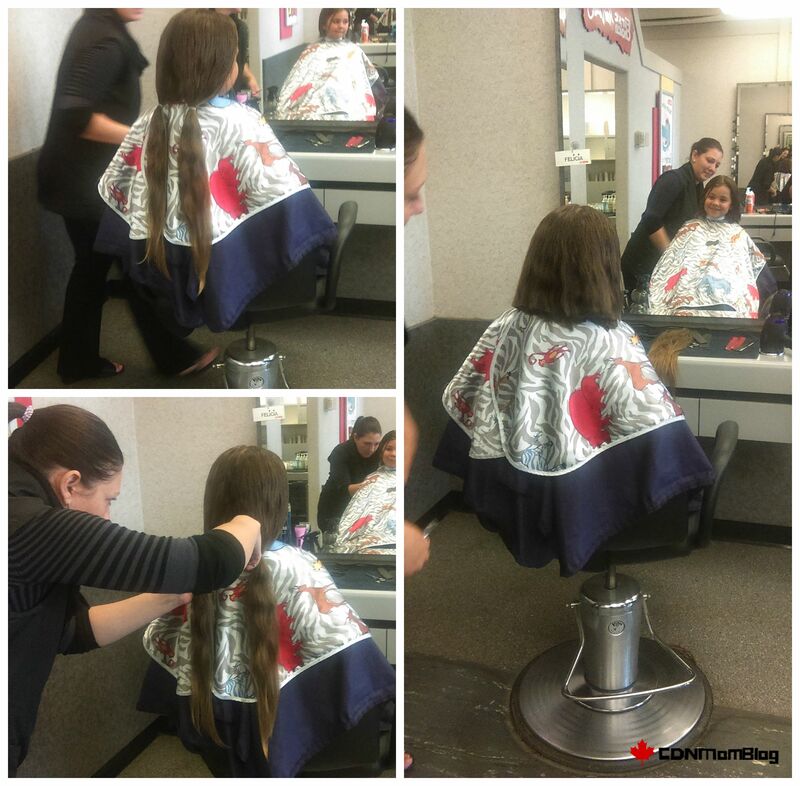 The Canadian Cancer Society, or CCS for short, works in conjunction with Pantene Beautiful Lengths to create wigs for women and children who have lost their hair during their battle. 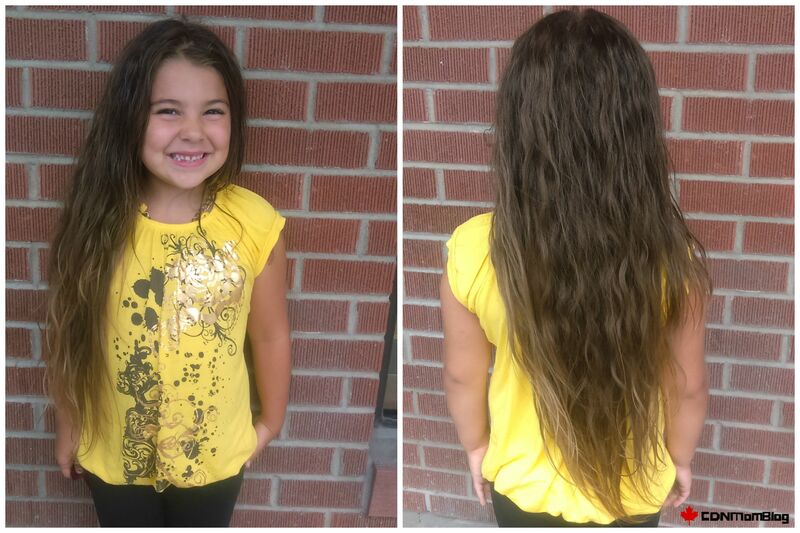 Ashlyn has never had a real haircut, so at first we were unsure if/when we should cut it. I mentioned to her about donating it, which prompted a conversation about what cancer is, and what it can do. After a candid conversation, she decided she would like to donate her hair, in hopes that a little girl fighting cancer could “have pretty hair too”. We then decided it would be best to book an appointment just before school starts — which then prompted another conversation on lice, but that’s a whole other post. Needless to say, it was an educational day for her. With a quick Google search, I found the CCS website which had plenty of info for us. Here are the instructions directly from their site. Clean, shampoo and/or condition hair, without any styling, hairspray or additional hair products. Gather hair at the nape of the neck. Create a ponytail with an elastic band. Make sure the band is tight around the hair to keep the hair together after cutting. If it comes out of the band, it won’t be included in the donation. A second hair band can be placed around the middle of the ponytail to keep the hair together. Ensure that the elastic band is just below where you want to cut your hair. Measure the length of the ponytail from the elastic band to the tips, making sure it’s at least 8 inches long. Donations shorter than 8 inches will not be used, because this is too short for making a wig. If your hair is not 8 inches, continue growing it out. There is no maximum length requirement. Cut the hair just above the elastic band so that the elastic band remains on the ponytail after cutting and keeps cut hair together. Do not wash or style the ponytail in any way after it has been cut off. Place the ponytail, kept intact with the elastic band, in a zipper-lock bag and seal tightly. Please ensure that the ponytail is completely dry before sending. Place the plastic bag with the ponytail in a padded or plastic envelope and send. The site also lists the mailing address for Pantene and has a link to print a shipping label which will cover the cost of sending the hair. I chose to bring her to our local First Choice salon and they were more than accommodating. They also helped to solidify what Ashlyn had started learning; it feels good to give back. I highly recommend them. As they are a chain salon, I expect the quality of service will be superior no matter which location you visit. 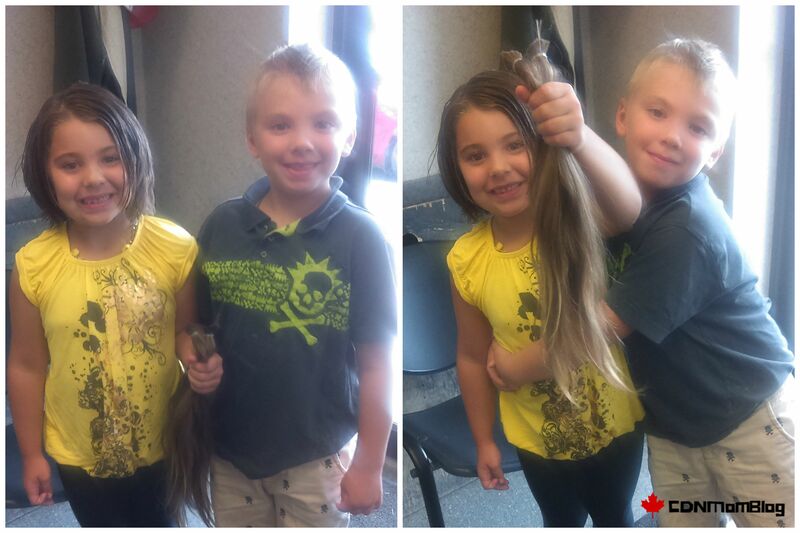 I’m so proud of this kid, and happy to report she wants to grow it back out and donate it again. Next time we even plan to have a fundraiser.